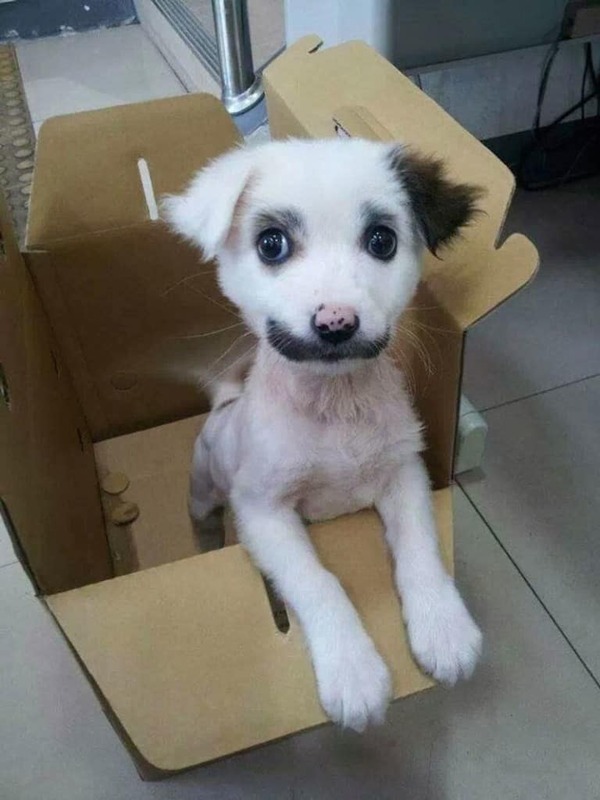 This little guy has so much going on with his cuteness. 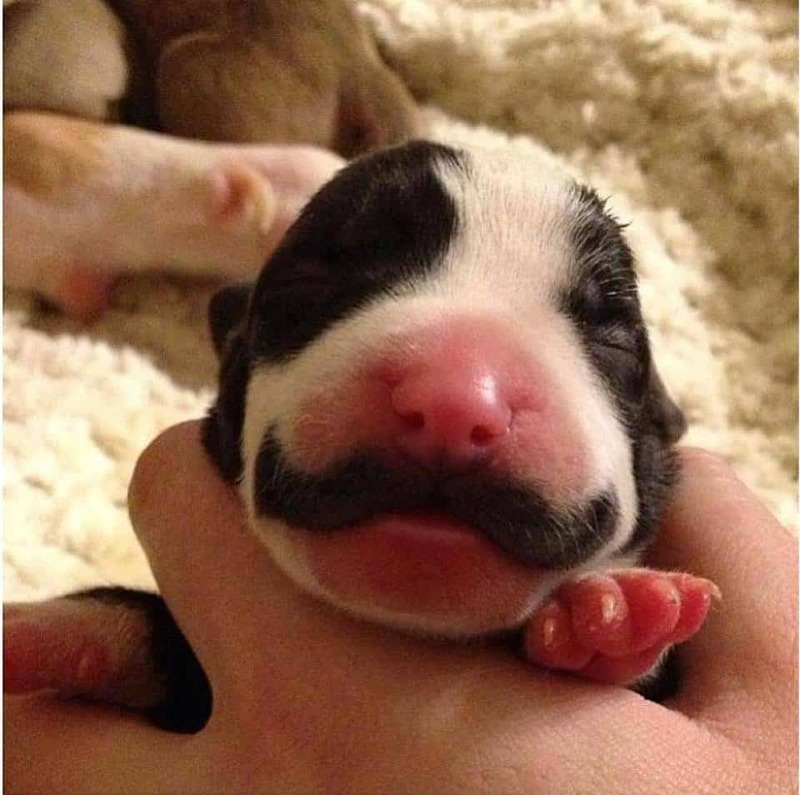 The two different colored ears may stand out more than his mustache, but did you notice he has eyebrows too! 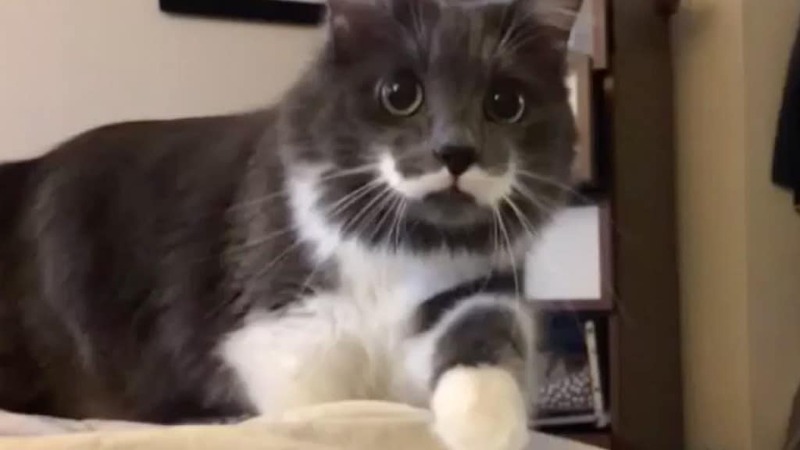 Here is yet another kitty with a ‘stache. 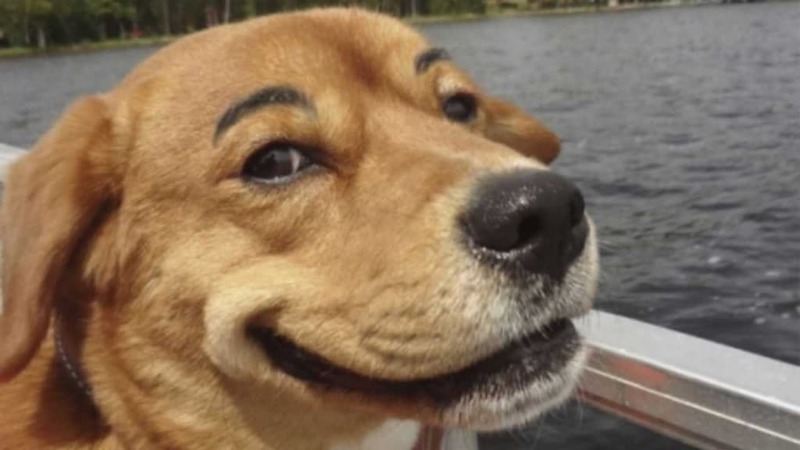 This pooch proves that eyebrows don’t always have to look silly on dogs, they can also be serious. 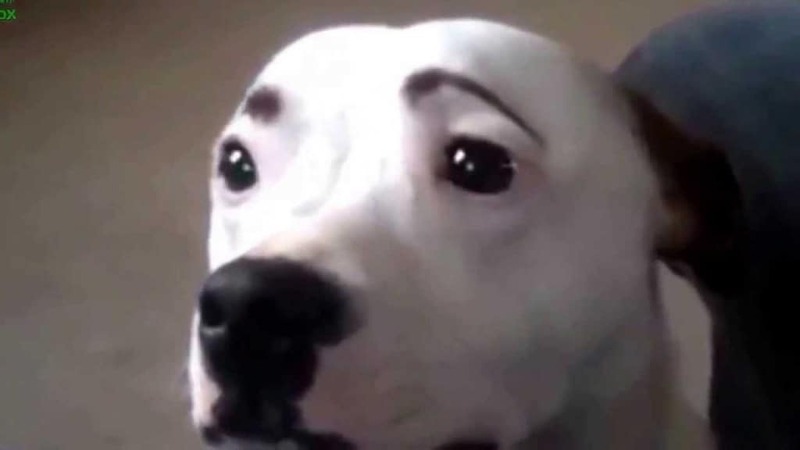 And here you see that eyebrows can also work to make the “puppy dog eyes” more effective. 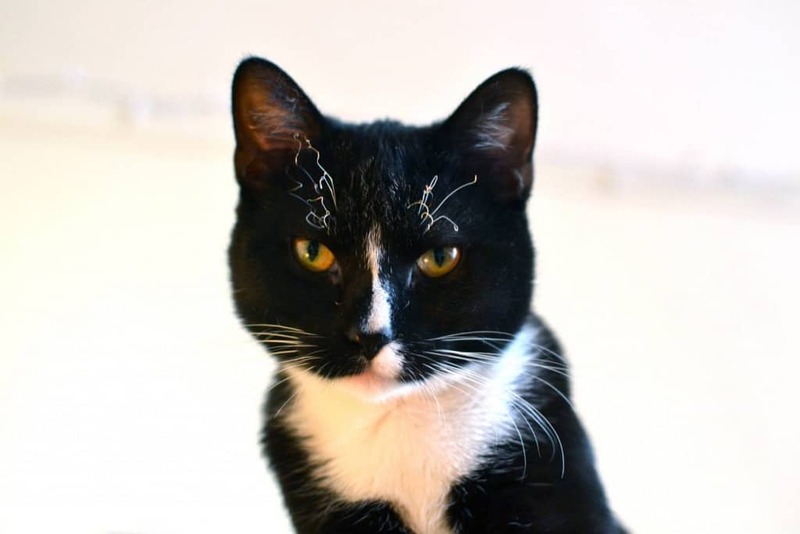 This cat knows that a little white hair makes you look more distinguished. 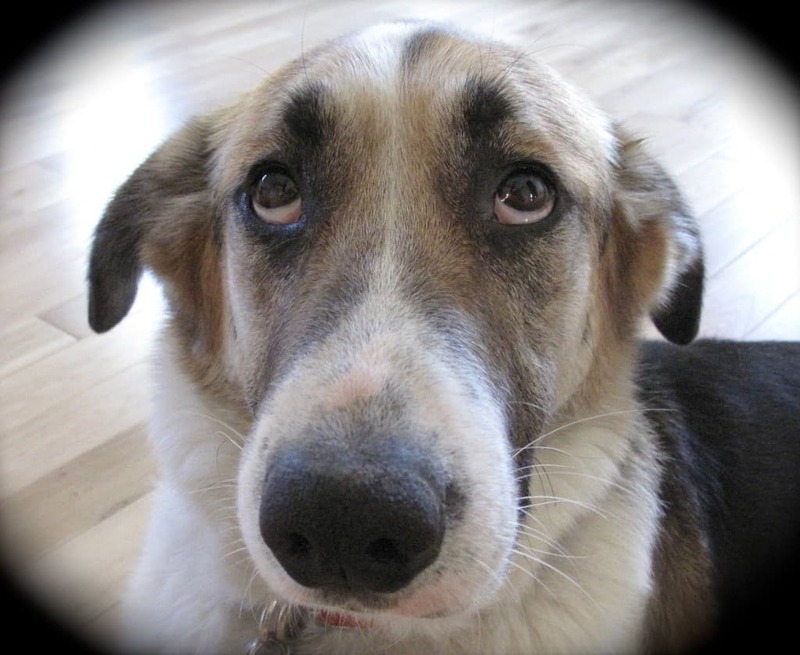 His brows, and look of utter sadness, makes this dog the saddest of the day. 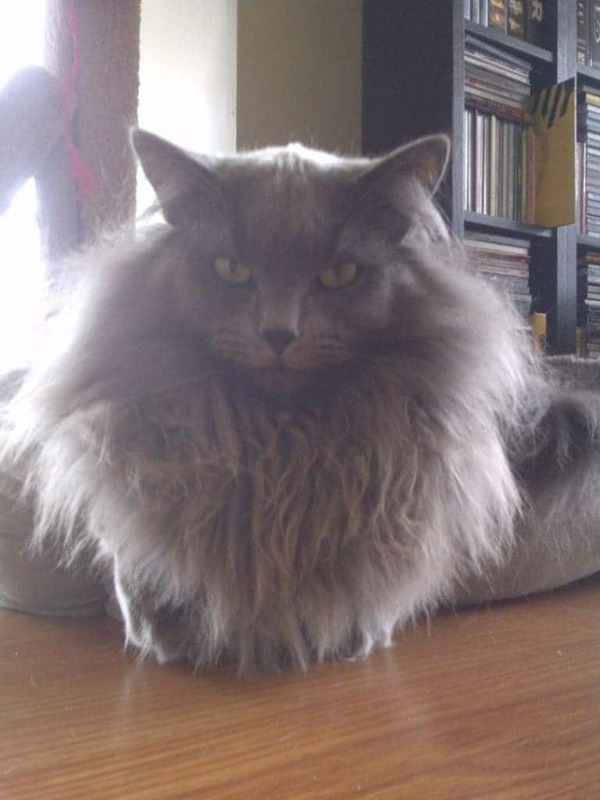 This guy is definitely in the running for best cat beard ever, and he knows it. 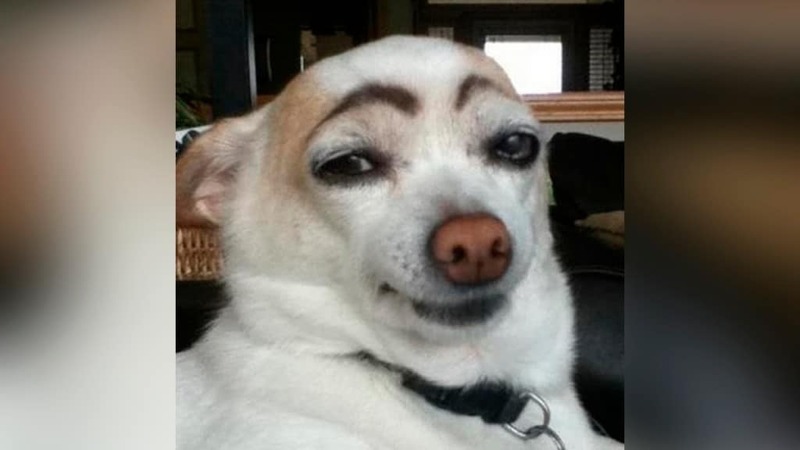 Or, at least his eyebrows are. 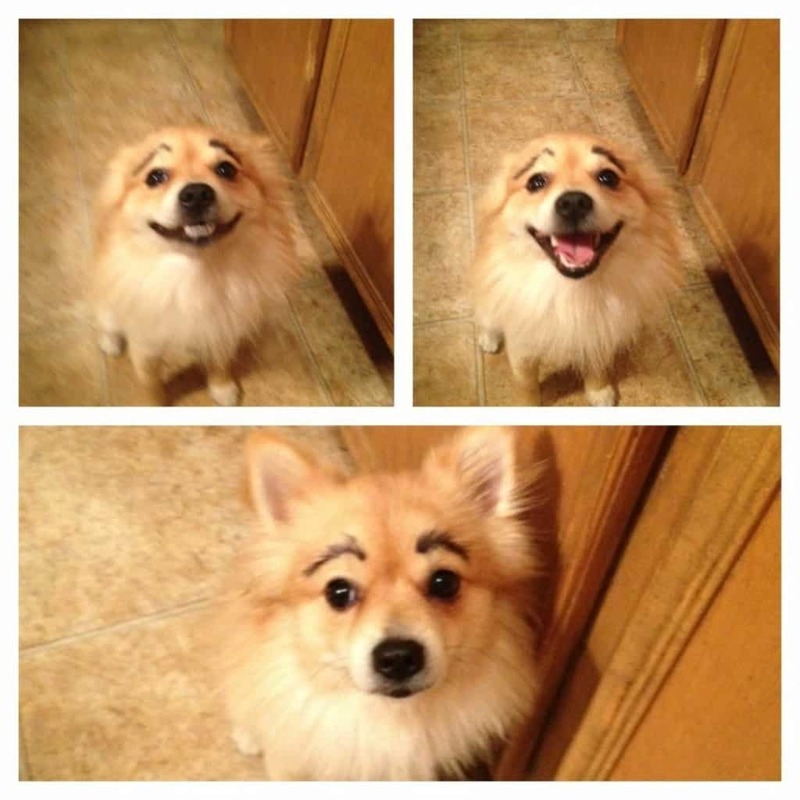 If he were a human he’d have plucked those crazy hairs a while ago. 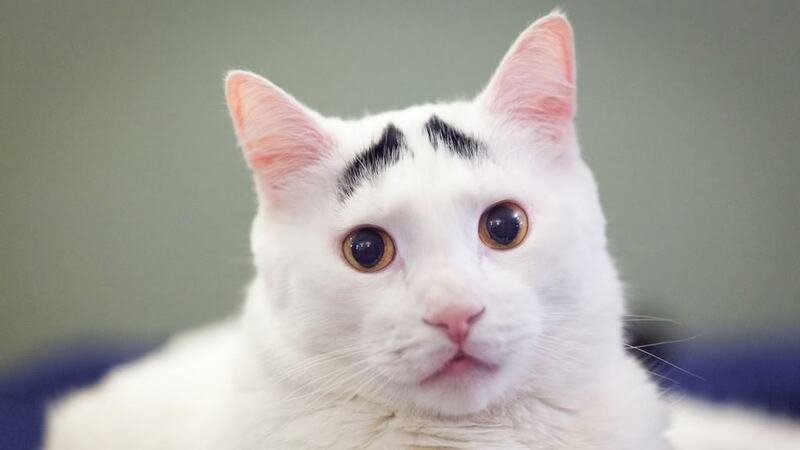 This guy has some oddly placed brow marking, make him look like he’s always questioning the state of the world. 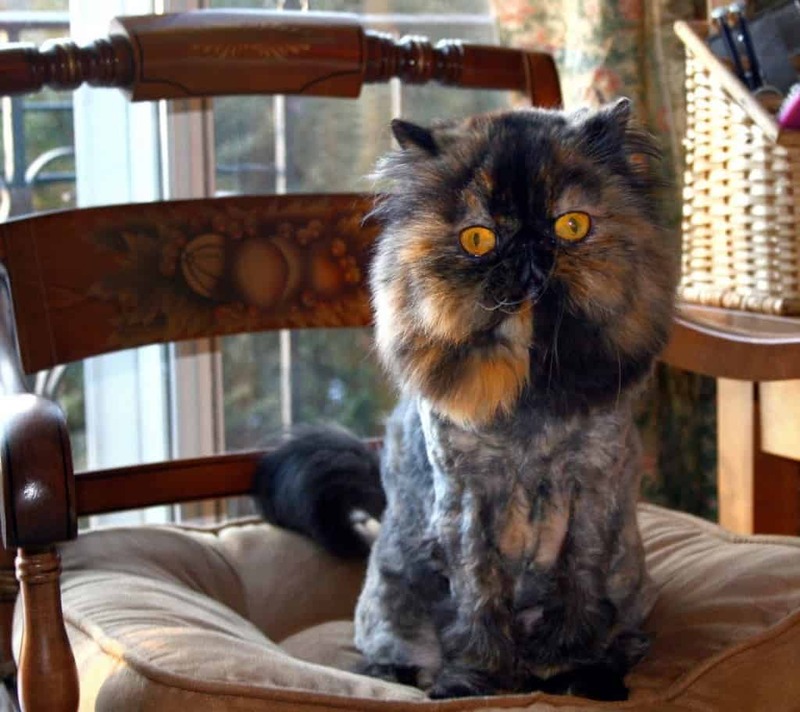 This haircut is a real thing, called the Lion Cut. It kind of makes this cat look like a bobble head. 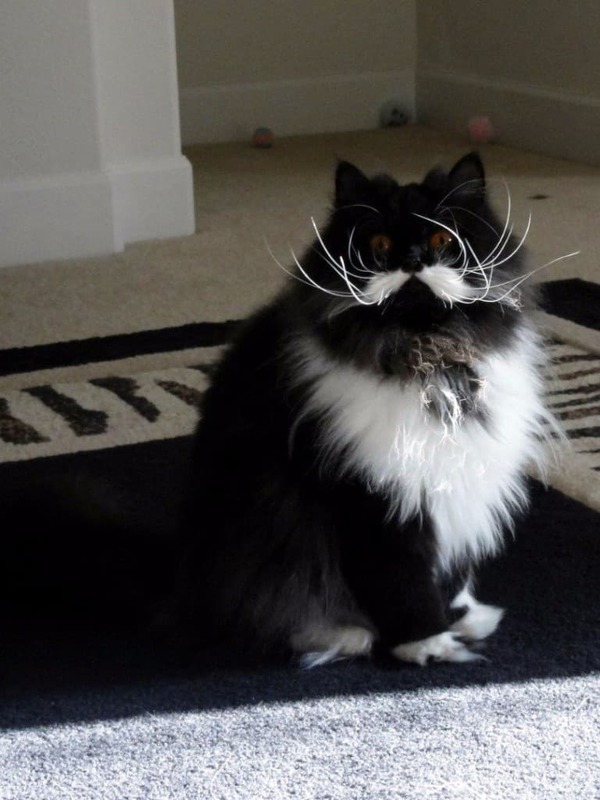 You can just tell this cat is up to something when you see that wild mustache! 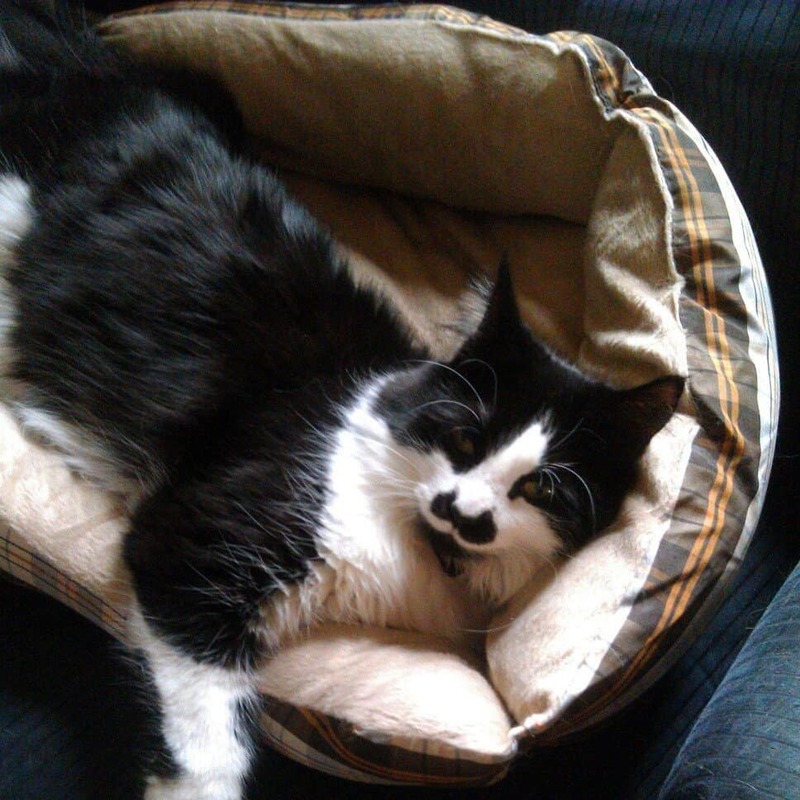 This cat looks like he isn’t very happy to have been woken up by the flash of the camera used to snap this shot of his thick mustache. 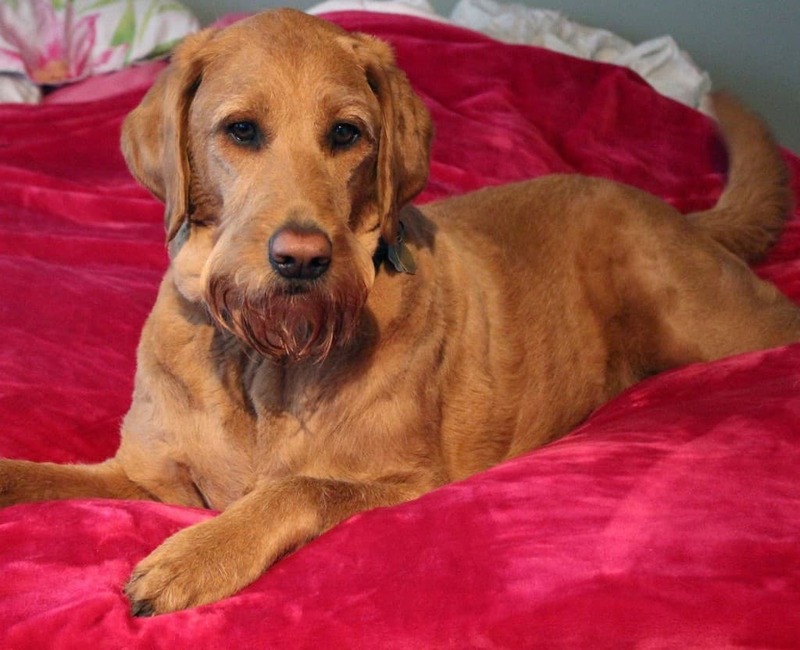 There are plenty of bearded dog breeds out there and even some mutts with interesting beards. Of course, it seems this dog may have been shaved to look like he’s part schnauzer. 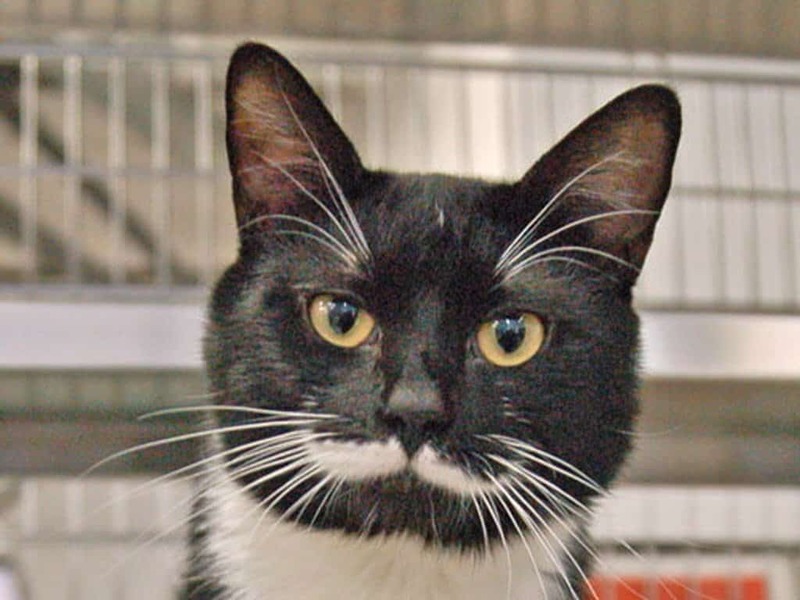 This cats mustache, bright white whiskers, and prominent white brow hairs make him look like he means business. 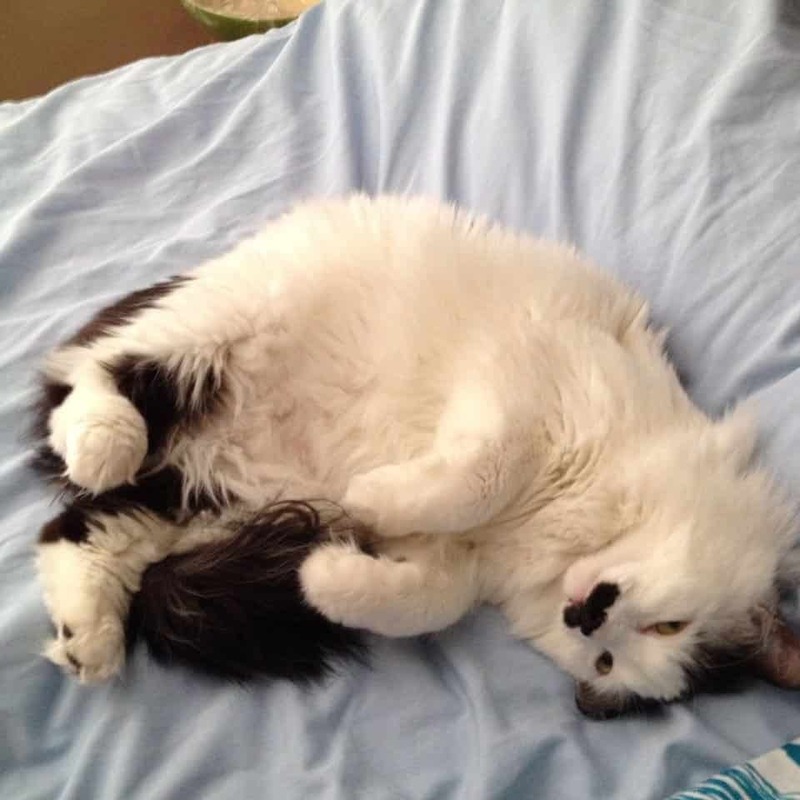 Look again, his face isn’t just a jumble of spots. 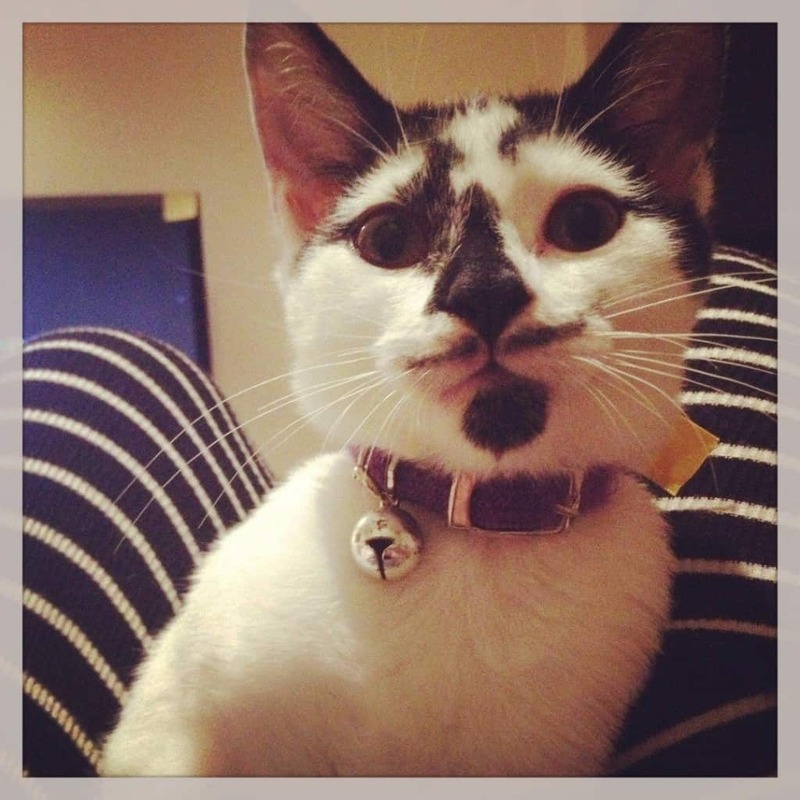 This kitty has a nice pencil mustache and soul patch! 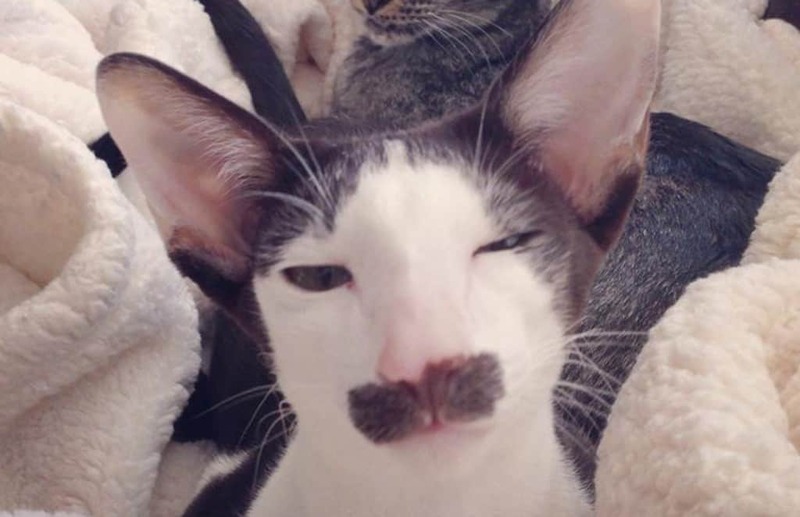 Just wanted to finish this list off with a cat with no eyebrows, mustache or beard. 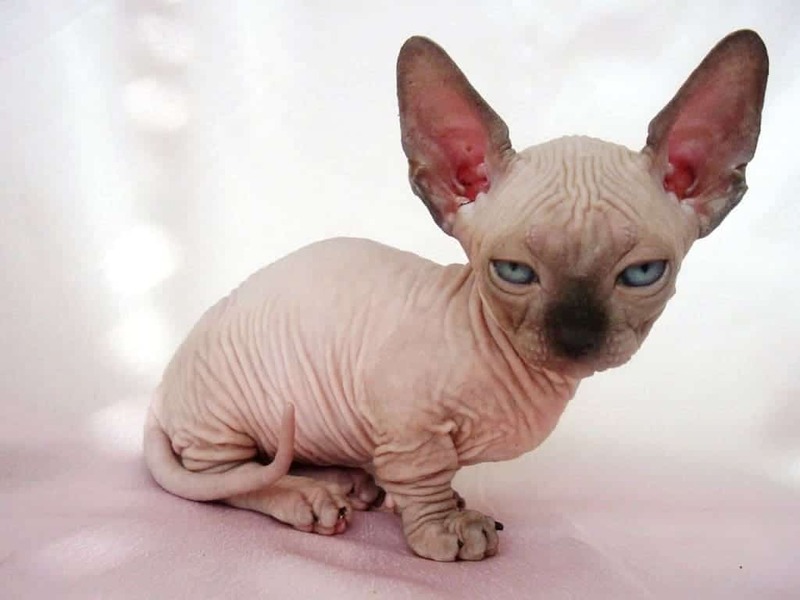 And, no hair at all, anywhere!